After an exciting battle in May 2018 against the Ukrainian idol, Vasily Lomachenko, the former world champion in 3 divisions, Venezuelan Jorge Linares, will enter the ring on Saturday night, determined to return to the Boxing’s elite..
“I have prepared very well for this fight, I am training with Jorge Zerpa. We worked together 11 years ago when I fought for my first world title against Oscar” Chololo “Larios, in Las Vegas. “If I could fight him again, I would, but for now I’m going to look for more opportunities at 140. A fight with Mikey Garcia or Jose Ramirez would be great. But I have to stay focused on the opponent in front of me. Cotto is hard. 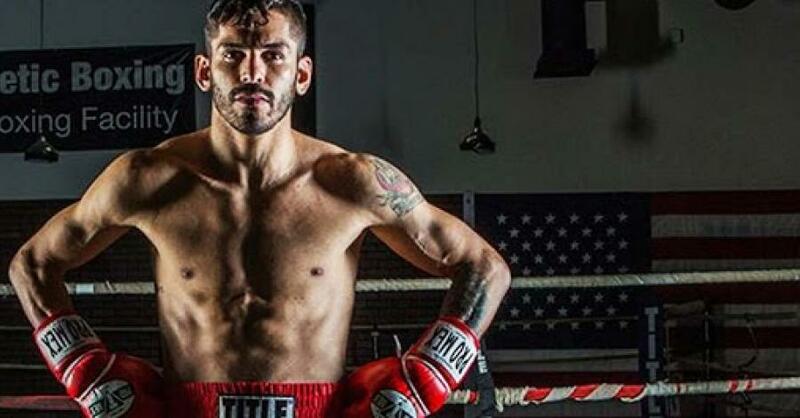 Linares is looking to place himself in another world champion position, but this time as a super lightweight against Abner Cotto. 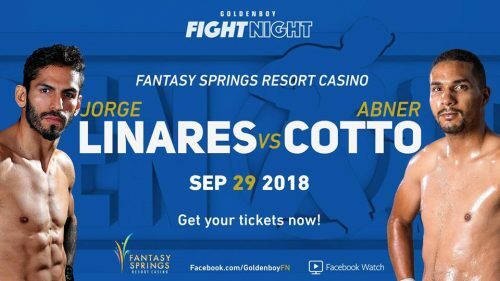 Jorge Linares vs. Abner Cotto will be the main event of a card presented by Golden Boy Promotions at the Fantasy Springs Casino, Indio. Boy Promotions in association with Teiken Promotions and Miguel Cotto Promotions. The event is sponsored by Tecate,”THE OFFICIAL BEER OF BOXING,” and Hennessy, “Never Stop, Never Settle.” The fights will take place Saturday, Sept. 29, 2018 at Fantasy Springs Resort Casino in Indio, Calif. The action will be streamed live globally on Facebook Watch via the Golden Boy Fight Night Page.